Typically a heater needing repairs 10 years after it’s first installed. Most often, thermostats will begin to malfunction or stop working altogether. Air filters clog up, disrupting airflow to your home. In other cases, you may be experiencing broken belts, fans, sensors, or other interior components. All of these issues can be addressed by our HVAC professionals. A heater replacement will not only protect your family from the ill effects of carbon monoxide poisoning, but also save you hundreds of dollars. HOW TO DETERMINE WHEN IT’S TIME FOR A NEW FURNACE INSTALLATION? Heat pumps work just the same as an air conditioner, except instead of producing cool air, the system produces warm air. 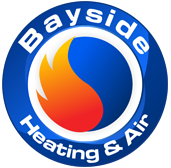 Typically a heat pump will use the air outside to alter the temperature in your home. These ground-source and air-source heat pumps don’t use a fuel source to heat or cool the air, making them much more efficient than traditional heaters. 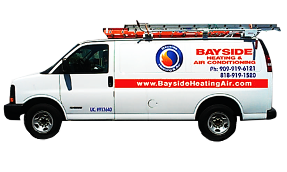 Heat pumps require less maintenance and repairs. It can also lower energy bills, and has the beneficial ability to use alternative sources of energy to power heat pumps. We recommend that you consider replacing your air conditioner when it is over 15 years old. If you begin to notice things like inconsistent cooling, odd mechanical noises, or increasing energy bills, you should consider a replacement. 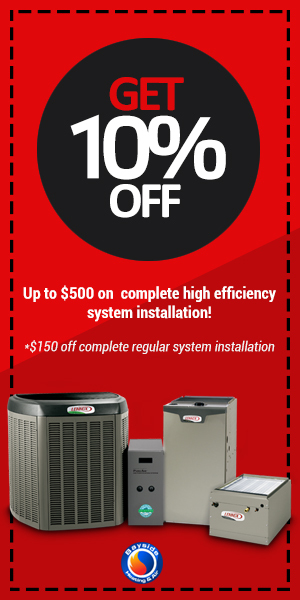 Despite the initial upfront costs for AC replacement, you will be saving money on your energy bill in the long term, and hopefully have no need for repairs! Have you noticed your allergies worsening? Or perhaps you seem to have reoccurring respiratory problems? In general, dirt, dust, dander, and bacteria accumulate inside your vents when they haven’t been cleaned for an extended period of time. When you turn on the AC, heater, or furnace, this accumulation will spread throughout your home, potentially spreading harmful spores. For these reasons, you should consider scheduling an air duct cleaning. HOW OFTEN SHOULD I SCHEDULE AN AIR DUCT CLEANING? Air balance is one aspect of your HVAC system that determines whether or not the unit is working at its peak efficiency. A building that has been balanced will have equal airflow and conditioning in each room. This ensures that your building is comfortable and the temperature is consistent. It also ensures that the HVAC system is working efficiently. Air balancing contractors work with residential and commercial homeowners to test the ductwork and other HVAC components to make sure each room is balanced. Air balance will definitely reduce your power bill and get you cooled off in shorter time. Air balancing is most often found within commercial buildings, however, residential homeowners have started to incorporate this into their homes as well. Our technicians typically begin by testing the ducts and airflow of the space to create a standard baseline, followed by small adjustments before retesting for balance. In some cases, our technicians may recommend cutting intro drywall to find inefficiencies or adding ductwork in rooms upstairs. This may initially be seen as a challenge, but you will most likely be saving money in the long term. HOW DOES A UV SANITIZER WORK? UV air sanitizers work in conjunction with your HVAC system and utilize specialized UV-C light. This process neutralizes airborne bacteria and impurities, which in turn improves indoor air quality. With a new UV air sanitizer, you should notice less dust and reduced allergies and colds due to festering bacteria. WHY DO YOU NEED VENTILATION IN YOUR COMMERCIAL BUILDING?